Black WOMEN Rock! at Yerba Buena Performing Arts Center May 12th Concert *Buy NOW* - jessica Care moore's Black WOMEN Rock! jessica Care moore is the CEO of Moore Black Press, Executive Producer of Black WOMEN Rock!, and founder of the literacy-driven, Jess Care Moore Foundation. 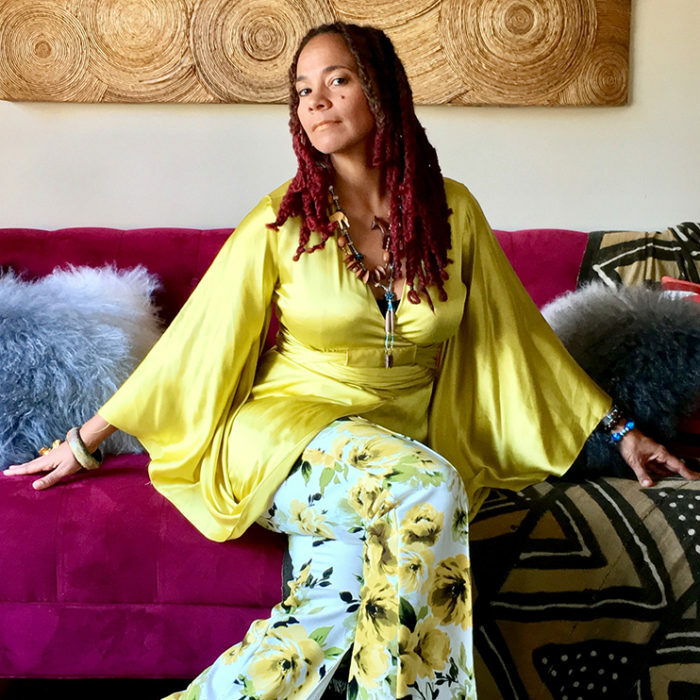 An internationally renowned poet, playwright, performance artist and producer, she is a distinguished 2016 Kresge Arts Fellow, A 2017 Knight Arts Foundation winner, and the 2013 Alain Locke Award Recipient from the Detroit Institute of Arts. moore is the author of The Words Don’t Fit in My Mouth, The Alphabet Verses The Ghetto, God is Not an American, Sunlight Through Bullet Holes, and her forthcoming collection,We Want Our Bodies Back. Her poetry has been heard on stages like Carnegie Hall, Lincoln Center and the London Institute of Contemporary Arts. She has performed all over the world. jessica Care moore believes poems belong to everywhere and to everyone. moore recently won a 64,000 Knight Arts Grant for her large scale Afrofuturistic ballet, Salt City, a techno-chorepoem. She is a highly respected poet among Hip Hop artists, recording with Nas on his 1999 Nastradamus album. Her recent recordings include the track “Eternal Reflection” on Jeezy’s Church in These Streets, and “Poetry Suite” on Karriem Riggins Head Nod Suite project. 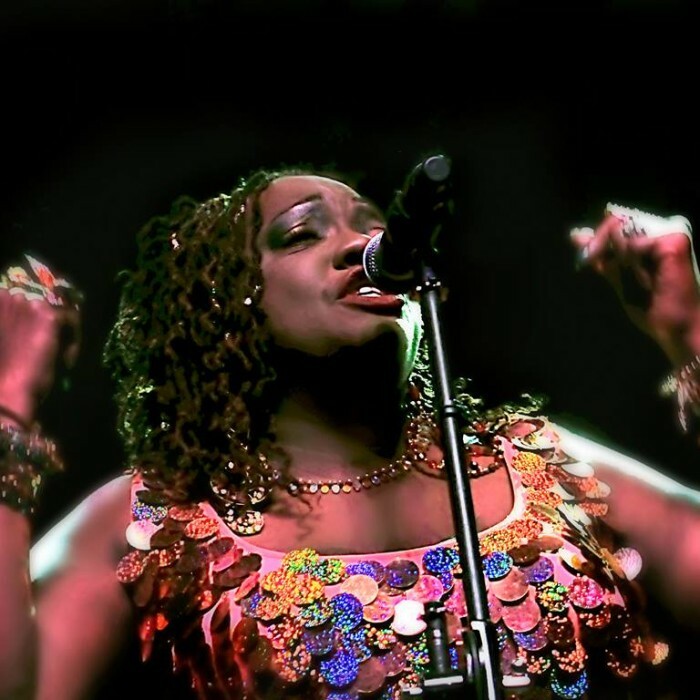 She is signed to Talib Kweli’s Javotti Media Label, who put out her first album, Black Tea – The Legend of Jessi James, which features Jose James, Roy Ayers, Talib Kweli, Wordsworth, One Belo and Ursula Rucker. jessica Care moore’s work is not limited to her own publications. She has been published in several literary collections, including, 44 on 44, (Third World Press, 2011), A Different Image, (U of D Mercy Press, 2004), Abandon Automobile, (WSU Press, 2001), Listen Up! (Random House, 1999), Step Into A World, (Wiley Publishing, 2001), Role Call (Third World Press, 2002), Bum Rush The Page: A Def Poetry Jam (Crown Publishing, 2001). She is the youngest poet published in the Prentice Hall Anthology of African American Women’s Literature, by Valerie Lee, alongside literary greats such as Zora Neale Hurston, Alice Walker, Octavia Butler, Maya Angelou and many others. As an activist, jessica Care moore has lent her powerful voice to the international fight against AIDS. She performed for the United Nations World AIDS Day Commemoration two years in a row and was one of the organizers of Hip-Hop-A-Thon, a concert in San Francisco which helped increase AIDS education in the Black and Latino Bay-Area communities. moore has also performed in front of thousands of people during AIDS WALK Opening Ceremonies in New York City, San Francisco, Los Angeles, Florida and Atlanta. She is currently on the Executive Board of the Detroit Chapter of the NAACP. jessica Care moore currently lives, writes and creates in downtown Detroit, where she is proud to be raising her 11–year old award winning poet, actor, musician and hockey playing son, King Thomas Moore-Poole. Brooklyn born and bred artist Tamar-kali is a second-generation musician with roots in the coastal Sea Islands of South Carolina. As a composer, Tamar-kali has defied boundaries to craft her own unique alternative sound. The aggressive, melodic, rock of her ‘5 piece’ outfit enchants you with its melody, while delivering a swift kick to the gut with its incisive emotional core. Her debut LP Black Bottom, challenged the alt-rock norm. The pieces she composes and arranges for her string sextet and voice project: Psychochamber Ensemble, marries the classical music of her Catholic upbringing with post-punk sensibilities. The start of 2017 marked her debut as a film score composer. Her ‘expressive and varied score swells around dramatic widescreen views of the Mississippi delta’ [Variety], in Dee Rees’ Mudbound which premiered to rave reviews at the Sundance Film Festival. Her powerful vocals have been featured in the Rees’ award-winning film Pariah (2011, Focus Features) and in HBO’s biopic Bessie (2015), starring Queen Latifah. As a trailblazer, the genre-morphing singer, songwriter and producer, JOI, has always been ahead of the mainstream cultural and artistic landscape. Debuting with the 1994 critically acclaimed The Pendulum Vibe (Limp/EMI), JOI and producer Dallas Austin created a sharp, kaleidoscopic set of unclassifiable jams (soon-after dubbed ‘Neo-Soul’) powered by lead single “Sunshine & the Rain”. The protest-fueled song was critically acclaimed and remains a staple at her live experiences to this day. An all-black, all-woman version of the album cut “Freedom” was issued for Mario Van Peebles’ film, “Panther”. 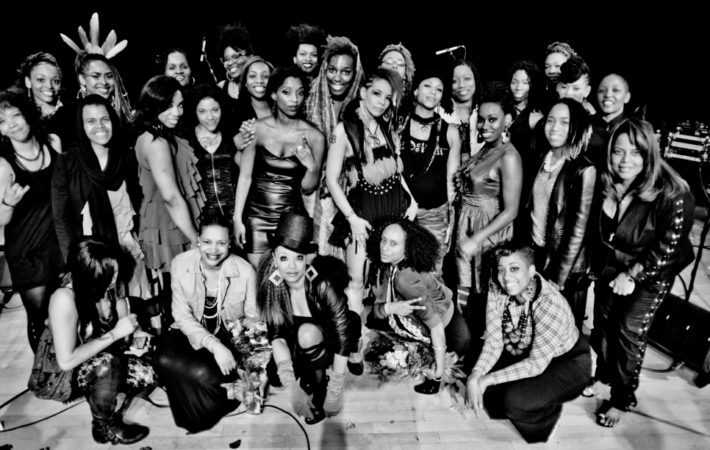 Mary J Blige, En Vogue, TLC, and a teenage Aaliyah were among the 60+ featured vocalists. Within just a few short years, JOI became one of the first black models in a major Calvin Klein ad campaign (CK One), married then-husband Big Gipp of Goodie Mob, and birthed daughter Keypsiia Blue Daydreamer. She independently released the adventurous Rock/Funk skewing sophomore album Amoeba Cleansing Syndrome in 1997. Backed by indie rock collective Fishbone & produced by Dallas Austin, the album was an instant classic amongst those blessed with copies of the once-bootlegged project. Gilliam worked on projects for the likes of Goodie Mob, Outkast, Curtis Mayfield George Clinton and others after the album’s tour cycle ended. 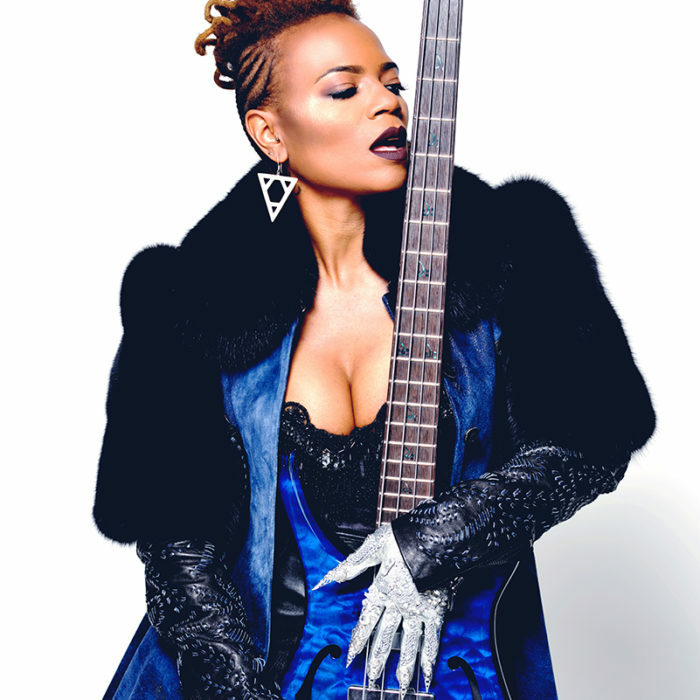 During the 2000’s, JOI was signed to the Universal label that produced the funky effort Star Kitty’s Revenge, her most commercially viable album to date. Star Kitty featured signature tunes “Lick,” “Techno Pimp,” and “Jefferson St. Joe”, an ode to her father Joe Gilliam, the NFL’s first black starting quarterback. 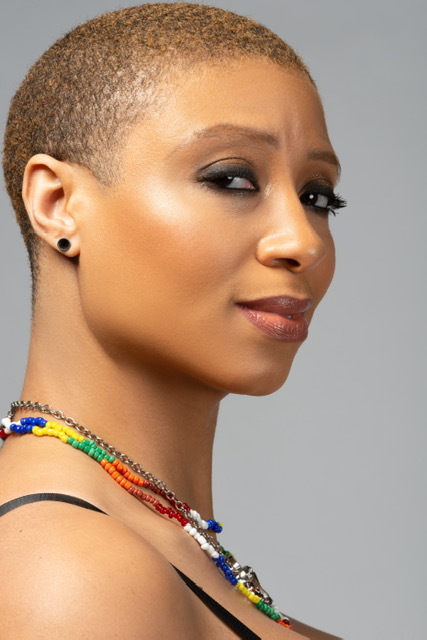 Soon, JOI was asked to join R&B super-group Lucy Pearl alongside Raphael Saadiq and Ali Muhammad. The trio would perform on Tonight Show Starring Jay Leno & release two singles (“Without You” & “You”) before disbanding indefinitely. In 2006, she independently released the emotional tour-de-force Tennessee Slim Is The Bomb under her own Joilicious Records imprint. She subsequently promoted the album with an extensive US tour. 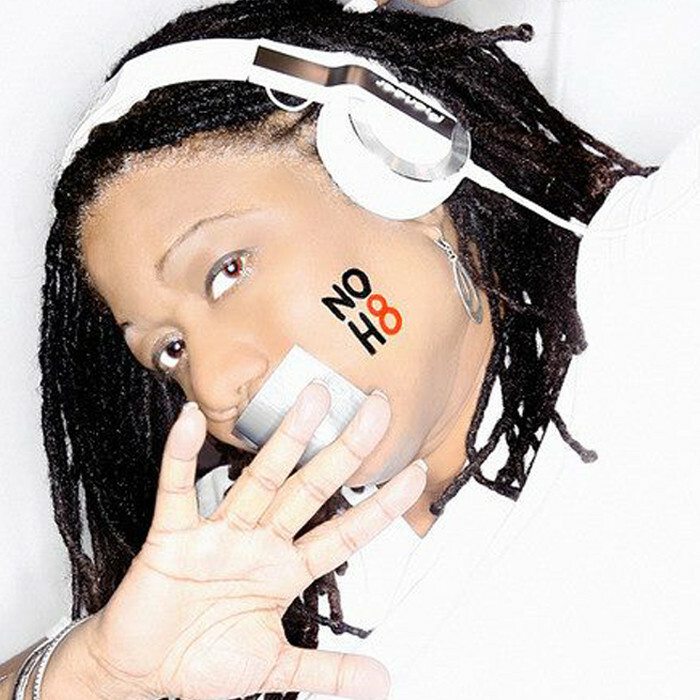 The last decade has found JOI free of the fledgling label system and fully immersed in Artisan Polishing, her performance mastery and vocal personalization classes where she educates established and developing talents.. Additionally, DJ’ing and vocal work on productions by Max Martin (Ariana Grande, Tori Kelly), Polow Da Don (Monica, Chris Brown) and others. A 20th Anniversary world tour with Outkast preceded her own #20YearsOfJOI show, celebrating the 20th anniversary of The Pendulum Vibe. Joi documented the show for a soon to-be-released feature. 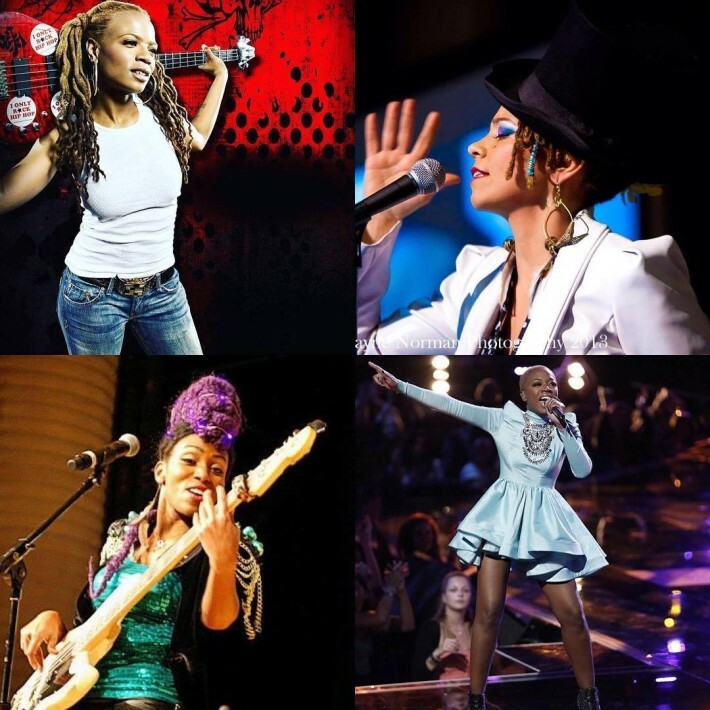 A 2015 European tour with D’Angelo And The Vanguard kept Joi (Vanguard vocalist) performing internationally much of the year while continuing on her #20YearsOfJoiAndCounting tour throughout the states. In March 2016, Joi was featured in “The Art of Organized Noize” documentary chronicling the origins and legacy of the Dungeon Family’s sound and how the Atlanta-based collective changed music forever. Between solo tour dates, she plans to complete recording her highly anticipated fifth solo effort, S.I.R. Rebekkah HolyLove, for Sept. 2017 release. Joi’s music continues to influence culture and soundtrack our lives with placements on film and television including Lifetime’s With This Ring (“I Love You Forever, Right Now” & “I’m So Famous”) and Love By The 10th Date (“I’m So Famous”), as well as Netflix’s Dear White People (“Freedom” – Ep. 4). Motivated to live out her dreams by any means necessary and help dreams in others become a reality, Ideeyah was also inspired by a dream of her own for her stage moniker. Ideeyah (pronounced ‘idea’) is a Detroit born and bred songstress, songwriter, performer and vessel of healing through her electrifying vocals. The young age of six is when the talented artist started honing her musical ability and it has been an ever-evolving journey since then. Defining her style as “electronic soul”, influenced by house, soul and funk, you can find Ideeyah zoning out to a plethora of genres from Alice Coltrane to Zap Mama. Her on-stage presence captures attention and easily turns spectators into believers as she exudes an aura of love from her microphone into the amplifiers. Ideeyah’s craft has garnered her mass appeal from her peers in the music world- summoned upon to perform alongside the likes of Jessica Care Moore, Monica Blaire, Joi, Erykah Badu, Norma Jean Bell, Divinity Roxx, Christopher Williams, Malcolm Jamal Warner, Dwele, Theo Parrish, Waajeed, Zo!, Carmen Rodgers, The Foreign Exchange, & Amp Fiddler. She is currently the head mistress of the mic for Collective Peace. 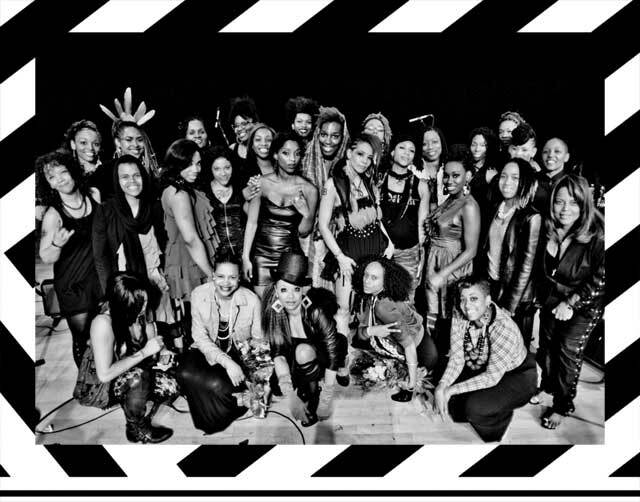 Black Women Rock also rests on her musical resume, having been part of the women-only musical showcase since 2010.